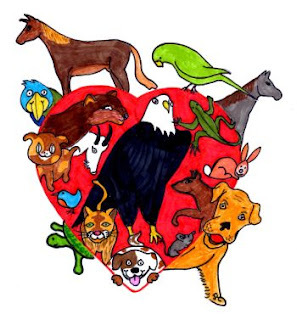 Synopsis: Pets who teach love; Healing with pet love; the super importance of pet love; the social good pets do; the importance of pets as love receivers; lifesaver pets; and pets showing us that to give is to receive. The fire in the middle cast a warm, friendly glow all around the tepee and on the people in it. All were silent as the elder wise-woman in her beautiful, white, beaded, deerskin dress intoned an ancient chant. Then she told her clan’s story of the first time the Great Spirit love-bonded wolf cubs with their ancient people. It seems that humans did not know enough about how to love so the Great Spirit put what would become dogs into the world to teach us how to love. As every tribe member knew, dogs know how love better than all other creatures. So it was that dogs taught us to nuzzle, and cuddle, and caress, and do love-play, and share food and shelter, and to be patient, and to protect, and to bond, and to lick wounds for healing, and to work together for common good, and to feel joy in uniting and sadness at parting, and relief in reconnecting, and even in times of great peril how to lay down our lives for one another. Yes, the Great Spirit put dogs into the world to teach us to love and to love well. The wisdom teacher of the tribe went on to explain that all animals have things to teach us and most important are the lessons of the dogs. I was only 17 when one summer through a scouting program I went to stay a couple weeks with Native American people and heard this tribal-teaching-story. Ever since I’ve had at least one dog – sometimes five plus puppies, from time to time cats and kittens, and once a horse. Then there was a blind squirrel, a rescued armadillo, a recovering raccoon, along with assorted small, injured birds, a clever crow, lizards, turtles, salamanders, skinks, newts and a few small, brightly colored snakes – all released when recovered. Is it any wonder that the most beloved woman of my heart was the large-mammal-docent at our local zoo, and at her instigation we road a highly valued and well-cared-for elephant through mountain terrain in Thailand. She is quite the love-teacher also. Many years later the Native American, wise woman’s story rushed back into my awareness when I was in England doing research on how love is dealt with in psychotherapy there. That was when the English were introducing dogs into hospital, surgical, recovery wards. They had discovered that surgery patients healed faster with fewer complications when the patients had a dog to love and be loved by. In my own practice I often work with very lonely people. Some have been hurt in relationships and consequently are protectively reluctant to mix with other people. I frequently recommend getting one or more mammal-type pets. We talk about how to find an appropriate and good animal-match. Almost always the ones who follow through on my recommendation start rapidly improving shortly after acquiring a dog, or cat or another mammal. Perhaps I’m prejudiced but dogs seem to get the best results in these cases but it somewhat depends on the ‘personality’ traits of the animal. However, people with all sorts of dire conditions start getting better with various pets. Miracles of recovery and stunning improvement from serious physical and emotional maladies especially seem to occur with horses in the picture. In my area of Texas, and elsewhere, there are equine therapy clinic stables with patient rehabilitation riding and caring for the horses programs that get outstanding results. Children, teens and adults, as well as the elderly, who suffer depression along with other debilitating and even deadly physical diseases and conditions are known to make surprising improvements once they bond with a loving pet. Even criminals have less recidivism when given dogs to raise, train and love. Good results also are attained with the smarter birds like parrots, crows and cockatoos. As many a healer knows, love heals and the species the love comes from doesn’t seem to matter a great deal, though higher order mammals usually are the most successful. The importance of a pet in some people’s lives cannot be over-stated. Repeatedly I have heard from patients, often with tears in their eyes, “Getting a pet saved my life”. I have seen loving pets make crippled children smile for the first time in months, cause angry morose teenagers to start to be kind, the brokenhearted and isolated begin to socialize again, and the severely mentally ill start back toward reality. Considerable evidence suggests people who have a close, truly loving relationship with a pet are much less likely to commit suicide, murder, violent crime, and much less likely to be destroyed by drug addiction. Pet lovers tend to live longer and healthier, and rate themselves as happier in life than do others. Evidence also suggests children, raised loving and being loved by pets, as adults do better at love relationships of all types. They also tend to be much better at giving and receiving physical affection than is the general norm. Couples who are active in loving pets together seem to have better relationships with one another and their children. There is no doubt that pets help improve the mobility of the elderly and also the evidence suggests elderly pet owners heal faster from injuries, experience less infections, and report more joy in life than others of similar age. Cat owners often speak of their feline pets modeling independence for them. Of course, cats also do a good job of getting themselves petted, picked up, cuddled and otherwise loved on. In the process they show the ‘reception of loving behavior pleasure’ by purring and often rubbing against and playing with their humans in what seems like return gestures of love. De-scented skunks, rabbits, goats, sheep, ponies, monkeys and a host of other higher order animals have been known to do things that pretty much seem like receiving and giving behaviors of love. The neurosciences have shown that similar areas of the brain activate, in both mammalian pets and humans, when giving and receiving love actions. Also there is evidence to suggest ‘love-conveying actions’ in humans, mammals and certain birds, result in very similar, healthy, brain chemistry changes. Thus, the natural, powerful process we call ‘love’ is evidenced as occurring in a good many species besides humans. Yes, the data points to our pets being ‘creatures of love’ just like we are. Pets save lives. There are countless, true stories of pets saving human lives. Whether it’s waking the family when the house is on fire, or dragging the baby out from under a collapsed structure, or attacking the bear who is mauling its master, or finding the child lost in the woods, or swimming under and supporting a drowning man, or going for help when finding its mistress unconscious on the floor, or … well, you get the idea. Arguably they do this out of love just as loving humans do. Animals have been known to repeatedly experience severe, excruciating pain or physical deprivation, even unto death, in an attempt to save people who, it can be said, they are love-bonded with. A pet dog that continues to be maimed by a lion as it stands between its wounded master and a hungry pride is but one of the many examples of this. Skeptics say this just is instinct but is not love born of instinct? There even are examples of animals saving strangers (consider the report of dolphins that support and push a drowning human to shore) is this ‘agape’ love or altruistic love? I heard a severe, chronic pain patient say, “I’m alive today not because of all the medicine and therapy I got but because they gave me a blind cat to take care of. The medicine and therapy helped but it was having a cat to love, and later be loved by, that made the difference as to whether I would stay alive or not. Now I have a bunch of cats and other pets to love and be loved by. My life is joy in spite of the pain”. Receiving love well is ‘giving back the gift of love’. Researchers were surprised to discover that when people give love to others the givers get healthier. Of course, the givers need receivers, preferably appreciative receivers. Many a pet fulfills this role quite well. Also our pet animals need receivers too and humans can fulfill that role. By the way, do you know about the great ape they taught sign language, when asked “what do you want” requested a kitten. The smart, loving ape turned out to take excellent, loving care of the kitten feeding, petting, protecting and gently playing with it daily. So it seems it is not only humans that benefit from giving and receiving pet love. I think there must be at least a thousand other things that would be good to say about pet love and the good that it provides us. Certainly there are at least 10,000 other wonderful and inspiring true stories exemplifying pet love and its marvels. Space prohibits, but let me add one thought. Take a little time to give serious attention to pet love and its importance. Then, if you want to add more love and its benefits to your life, if you don’t already have one, get a pet. In fact, get two so they have each other when you’re away. If you do have a pet, go on, love it as soon as you can and over and over again – you both will benefit! 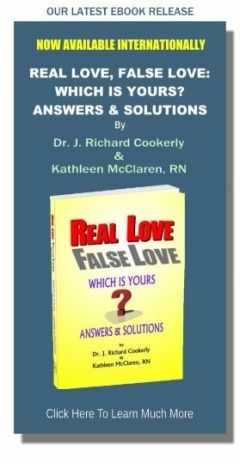 ♥ Love Success Question What actions might you take to make pet love a bit more of a joy in your life than it is now?